"Microsoft has announced that its next generation Xbox 360 gaming console will be in US shops on 22 November. 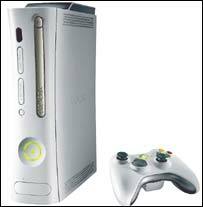 ... Once launched in the US, the Xbox 360 is due to be in stores in Japan and Europe in early December. Up to 20 games will be ready at the launch. ...Official launch date for Europe is 2 December and in Japan, 10 December."